So instead of chipping away at the work in progress, I decided to do some research. We all know what “research” means. Pre-internet, “research” meant an actual visit to a person or place, or it meant a trip to the library, flipping through the card catalog or The Readers Guide to Periodical Literature. Often it meant some quality time with Mr. Webster or M. Roget. With the internet, “research” means typing into a little box and getting blasted with a fire hose-strength stream of shopping, Pinterest boards, Tumblr pages, quizzes, and Facebook stalking. Honest! I was researching the title of a book I am using in my novel (Dumb Witness, by the way) when I found myself at the official Agatha Christie website. It’s fantastic. Did you know you can take a 360 degree tour of the Art Deco-licious set for the PBS Masterpiece Mystery Poirot series? Take a look! Click on the moustache for fun facts about the series. After Sherlock, I clicked across the Atlantic and back to 2004. I found myself on the Tony Hillerman Challenge Quiz page, which was created in honor of the Masterpiece Mystery series. You can test your knowledge of the Hillerman canon while a tiny police car travels around the Southwest. Thank goodness I had a lunch date or I’d still be clicking, er, doing research. Where has your “research” taken you? How do you deal with the siren call of Internet distractions? Does Reading a Book Before Seeing the Movie Matter? Last Saturday night, my husband and I had a date night. We’d had the babysitter lined up for weeks. And we had a plan, or so we thought. Dinner. Grand Budapest Hotel. Home. But, as it turns out, show times for the delightful film we’d planned on seeing didn’t jibe with our babysitter’s timeframe and I wasn’t about to shell out even more moolah to make her stay later. So, we adjusted. And ended up seeing a huge blockbuster on opening weekend. Which is extremely rare for us, given we tend only to see a handful of movies per year and we usually stumble into the theater when they’re a hair’s breadth away from extinction-til-DVD. As in the movie based on book one of a very popular series. A series I haven’t read. A series I’ve never been particularly interested in reading, to be honest. I have plenty on my to-be-read list that I’d put ahead of something bleak and dystopian. Basically, I loved The Hunger Games, but after that I was kind of done thinking about different ways we’d live after the world was pretty much destroyed. Call me an optimist. 2. The movie was already getting rave reviews by critics and just plain moviegoers alike. 3. Even if it sucked, I’d get to look at Theo James (aka the man who died in Lady Mary’s bed in the first season of Downton Abbey) for two hours, thus the scenery would be pretty. Yes, that’s him above. And you know what? I really liked it. Great stakes, tension, etc. Though, pretty, pretty Theo James really was the highlight for moi. That said, I was wondering if it would’ve been different if I’d read the books. I often try to read the book before I see the movie version (e.g. Hunger Games, as mentioned above), because I want to support the authors and gain some perspective on what was really intended. Though, I’ve noticed that sometimes this leaves me let down by the movie version. With The Hunger Games, I actually thought the first movie was really tough to follow if you hadn’t read the book. The second movie did much better with this, but I’m not sure if people who hadn’t read the book and saw the first movie would’ve come back to the second movie unless they were just there to ogle Jennifer Lawrence the same way I’d planned on ogling Theo James on Saturday night. Other times, I’ve only found out the movie was a book after seeing the movie. Actually, this happens a lot. The Oscar darling of 2013, Silver Linings Playbook, is the prime example in my mind. Saw the movie and loved it, then found out it was a book and ordered it. Would I have liked Silver Linings Playbook so much if I’d read the book first? I’d like to think so, but it’s impossible to tell. Do you find reading a book before seeing the film version affects your experience? Why Is This Book Different From My Other Books? 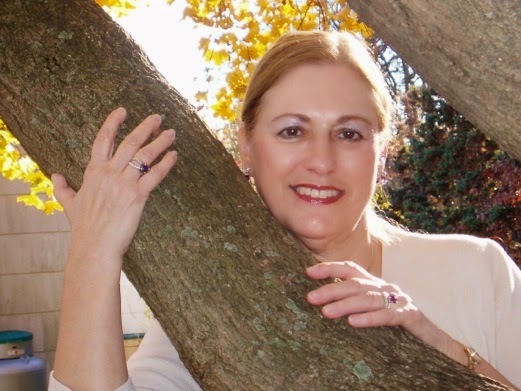 Today Salad Bowl Saturday hosts author Marilyn Levinson whose second mystery has recently been published. My first novel, And Don’t Bring Jeremy, was published many years ago when my sons, now in their early forties, were in elementary school. I was thrilled by the wonderful review in Publishers Weekly that began with “Levinson’s first novel promises to launch her career as a gifted, sensitive author.” A book club deal was in the works before the book came out. I was elated! Here I was, an author! My new life was beginning. Now everything I wrote would be published. Wrong. Jeremy received its measure of acclaim. The book was a nominee for six state awards, which is an honor for kids’ books. I went on to publish more novels for young readers, but months if not years passed between sales. Sure, No Boys Allowed remained in print for over eighteen years and was published in Dutch and Swedish. But what about my other projects that weren’t taken? Yes, Rufus and Magic Run Amok was a Children’s Choice and loved by all who read it. But the publishers weren’t interested in the two sequels I’d outlined and was ready to write. And so it went. A good friend suggested I write a romantic suspense. I wrote one, oblivious of the rules and regulations governing the genre. And then I had the urge to write a mystery. I’d been reading mysteries since I’d learned my letters. I loved the idea of puzzles and small towns where everyone thinks they know everyone else. Since I’d already written about a witch, I decided to write about a ghost. A bad-boy of a ghost who nags the young woman who moves into his family cottage until she agrees to find out who murdered him. I wrote Giving Up the Ghost and tried to find an agent to sell it. I was told I had no hook. “Isn’t my ghost a hook?” I asked. Puzzled, I put the manuscript aside and wrote another romantic suspense. And then I wrote another mystery. This time my sleuth was a newly-retired woman who moves to an upscale over-55 community. Again I was told I didn’t have a hook. But by this time, there were many avenues open to publication. I sent A Murderer Among Us to an e-publisher, and voila! It was published. I was just as excited when Suspense Magazine awarded it a Best Indie. I decided to publish the sequel, Murder in the Air, myself. I learned about social media. I guest blogged. I joined Facebook and Pinterest. I tweeted. I left comments on other writers’ blogs. Soon I was doing more nonfiction writing than attending to my work in progress. Savvier now, I put up a few of my out-of-print children’s books on Amazon. Another e-publisher brought out a mystery and a romantic suspense. My books received very good reviews, but sales were never terrific. When I started my next mystery, I was determined to include a hook that the powers that buy would approve of. I decided to make my sleuth an English professor who leads a Golden Age of Mystery book club. As soon as I started writing, I forgot about my hook and concentrated on my characters as usual. I loved the idea of writing a mystery with certain parallels to Christie’s novels. One in which my characters reveal a good deal about themselves via discussions of her mysteries. Murder a la Christie was a finalist in the Malice Domestic contest the year no winner was declared. I was thrilled. Surely, now my book would sell big time. An agent took it on, but none of the big houses was interested. Some of the smaller houses weren’t, either. Then L&L Dreamspell offered to publish it. I was glad because I wanted this book to come out in paper and as an e-book. The book was edited and only lacked a cover, when I received the news that Dreamspell was closing because of the death of one of the publishers. I sent Murder a la Christie to Oak Tree Press, and they took it! Wonderful! They wanted reviews. I put out a request on Facebook, and many of my fellow mystery writers and reviewers offered to read my novel and review it! The reviews started to come in--wonderful, enthusiastic endorsements expressing how much they enjoyed reading my book. 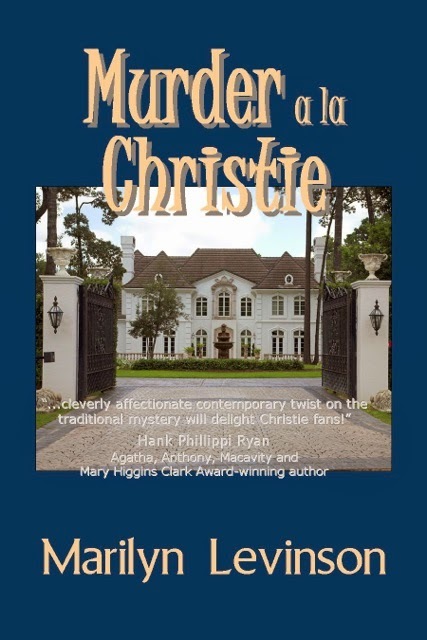 Murder a la Christie has been out for a month now, and it’s received more wonderful acclaim. “When’s the sequel coming out?” I’m asked. I’ve promised a few reviewers they can preview the sequel, Murder the Tey Way. Last week I had a successful book launch in a popular indie bookstore, my very first book launch. I’m very happy about the attention my book is getting. Still, being of the inquiring mind, I wonder why this is happening. I did my best to create a fun, yet thoughtful, read. 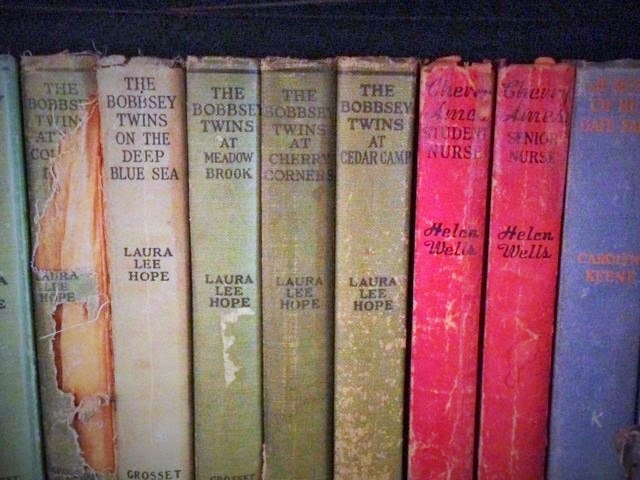 But I made the same efforts with my other novels. Is this book “better?” More interesting? More complex? I don’t think so. Is it because readers are drawn to the discussions about some Christie novels? Any one or all of these reasons might be why this book has made an impact on readers. Or perhaps all the promoting and social networking I’ve been doing have finally taken effect. I wish I knew how to measure the success of a blog tour, or of any other aspect of marketing. I suspect the fact that I’m constantly at work, offering my books to the public, is a factor. When it comes right down to it, I’m simply glad that readers are enjoying Murder a la Christie, and I hope they will seek out my other books. In the meantime, I’ll keep on writing. When I wrote my list of bests, I could not get all of the best books in one blog. Infantry veteran) as the most realistic description of combat he had read. her daughter Rose, a notable professional writer. The best environmentalist character in fiction: Skink in the novels of Carl Hiaasen. Best description of Kansas City: author Joel Goldman. Best depiction of a damaged hero: The Face of a Stranger by Anne Perry. credentials of a nursing care person she happens upon a former co-worker of that person. The co-worker gives a description of the person’s work, which is hilarious. Best description of an arson investigation: California Fire and Life by Don Winslow. What writers do you consider "the best" and why? This is the last week of Women’s History Month, a month dedicated to women’s long struggle for equal rights as well as celebrating the historical contributions to society they made. The month observation started in the United States as a day - International Women’s Day, and eventually became Women’s History Week in various places in the country. In 1980, President Jimmy Carter issued a proclamation declaring the week of March 8th as National Women’s History Week. 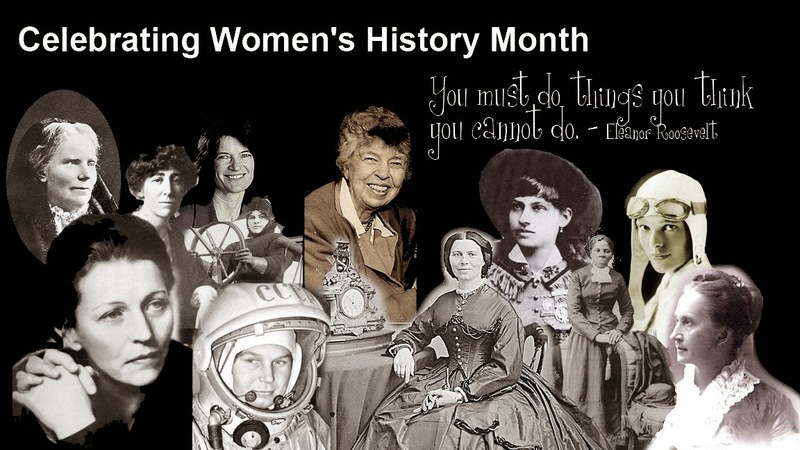 Eventually in 1986, Congress passed a statute designating the Month of March as Women’s History Month. 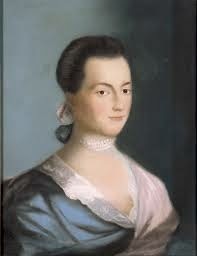 It’s been a long battle over the years going back to Abigail Adams. She was intelligent, had strong political viewpoints and was a prolific letter writer. Because of these qualities she is one of the most documented First Ladies. A March 1776 letter to her husband John Adams and the Continental Congress is well-known and often quoted. In it she requests that to “. . . remember the ladies, and be more generous and favorable to them than your ancestors. Do not put such unlimited power into the hands of the Husbands. Remember all Men would be tyrants if they could. If particular care and attention is not paid to the Ladies we are determined to foment a Rebellion, and will not hold ourselves bound by any laws in which we have no voice, or Representation.” The letter didn’t change her husband’s or the Congress’s minds, but those words lived on in the hearts and minds of women. Abigail and John Adams believed that slavery was evil and a threat to the American democratic experiment. 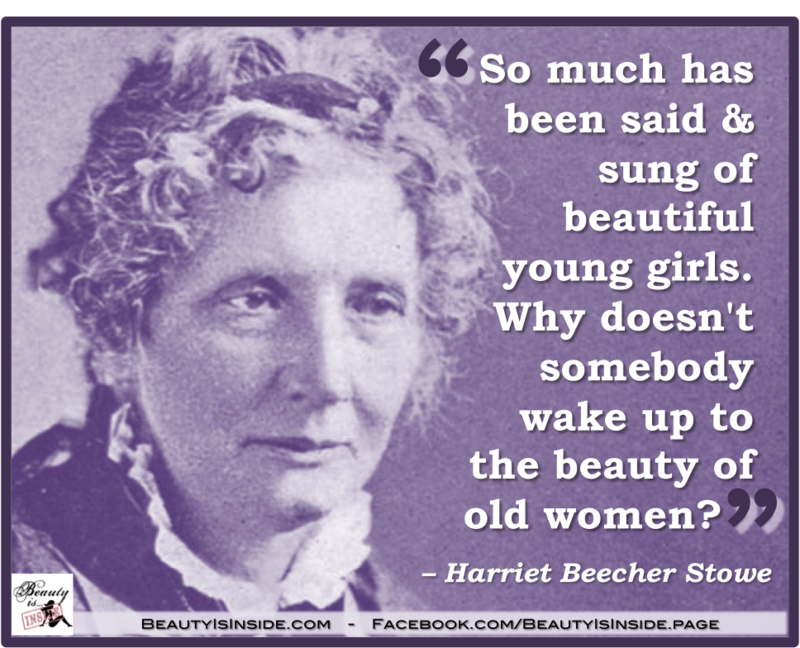 Harriet Beecher Stowe also believed this and bravely fought for the slaves’ freedom with her novel Uncle Tom’s Cabin. We all know what she accomplished with that book. 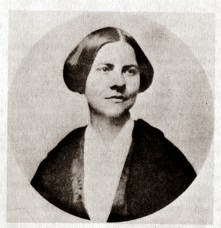 When she visited Abraham Lincoln in the White House in 1863 to urge him to remember the slaves, he greeted her as “the little woman who wrote the book that made this Great War.” A strong woman in many ways, she supported her family with her writing while her preacher husband went on rural retreats for long periods to sooth his nerves. Harriet Beecher Stowe considered slavery a masculine enterprise, and thought women with their feminine conscience were better able to see the evil of slavery. In a way Abigail Adam’s threat of a women’s rebellion came through, albeit in the form of a subtle or not so subtle advocacy against the laws of slavery. A little aside here, more writers of books and novels during this period were women than men, but how many women writers of this period are taught in literature classes? Not many. Susan B. Anthony (1820-1906) with a Quaker upbringing was very active in the anti-slavery movement. In 1848 when working as a teacher in Canajoharie, New York, she became involved with the teacher’s union after discovering that male teachers had a monthly salary of $10.00 while female teachers earned $2.50 a month. From this as well as her temperance and anti-slavery reforms she started the battle for women’s rights. She’s probably the best known of the suffragists of her generation. But it was through meeting Elizabeth Cady Stanton and hearing a speech by Lucy Stone, that they formed the National Woman’s Suffrage Association in 1869. All students of history know what a long hard battle that was. As a final tribute to Susan B. Anthony, the Nineteenth Amendment giving women the right to vote was named the Susan B. Anthony Amendment. It was ratified in 1920. Another woman, not as well-known as the three mentioned above, was Harriet Taylor Upton. She was born in Ravenna, Ohio and moved to Warren, Ohio which is only a few miles from where I live. 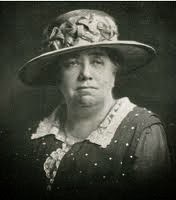 She was a key organizer and the first president of the Suffrage Association of Warren, and was a member of the National Woman Suffrage Association from 1890. In 1880, her father was elected as a member of the United States Congress, succeeding President James Garfield in the position. Her father’s position gave Harriet the opportunity to meet leading political leaders of the day, including Susan B. Anthony. She brought the headquarters of the organization home to Warren from 1903 to 1910. 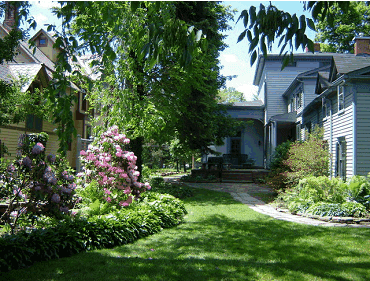 Her home remains as a National Historic Landmark. Although she died in California in 1945 at the age of 91, recently her remains were brought home to Warren and are buried here. Although women have made great strides in our country and many others, there are still gaps. Women earn only 77% of what men do. Teachers in a field which is preponderantly female except for higher education are paid far below what they should for the amount of education they have and the additional classes they are required to take. Administrative positions in higher education have been traditionally staffed by men although that has evened out in English departments, which is now close to 50-50. Women are only recently making gains in business. In investment banking only 18% of the managers are women. Of the fortune 500 companies there are only 23 CEO’s who are women. Not much, but still higher than it’s been in the recent past. And in government and other fields that have been dominated by men over the years women are making gains, too. We are slowly and steadily making progress. What inequalities between the genders have you seen or experienced? What advantages do women have today that our mothers or grandmothers didn't have? I feel so very privileged to have met Art Taylor and Tara Laskowski at Malice Domestic. We’ve developed a friendship through email conversations. Both are extremely talented writers of short fiction. Art won the Derringer last year for “When Duty Calls,” which also was nominated for an Agatha and Macavity. This year, his “The Care and Feeding of Houseplants” is nominated for an Agatha and in the top ten for EQMM's 2013 Readers Choice Awards. Tara’s collection, Modern Manners for Your Inner Demons, is witty, whimsical, and poignant all at the same time, and it sold out on its first print run! Their young son Dashiell (Dash) is captivated by motor vehicles. With his Lego set, he builds parking spaces. So, how does a busy, two-writer household function? Read on and enjoy hearing about this wonderful family. When did each of you first know that you wanted to be a writer? Tara: I read "A Perfect Day for Bananafish" by J.D. Salinger and thought, "Oh my god. I want to do this." This was reaffirmed by other key short story writers in high school like John Updike, Joyce Carol Oates. But even before then, I remember writing “books” in middle school and crafting an author bio and photo and making my dad take them to work to bind them in his printer (which back then was the size of an entire room.) So I guess it's always been there, somewhere. Art: The same holds for me—and I actually remember telling my third grade teacher that I was going to finish writing my book over Christmas break, “so it should be out in the spring sometime.” (I even made up a pen name, Anthony Twigg, so I wouldn’t be mobbed by fans.) But seriously, it does seem like a love of reading and desire to write has always gone hand in hand. The experiences I’ve gotten from reading, the adventures, the emotions, the revelations—those are experiences that I’ve always hoped to deliver to somebody myself. Art: Tara and I met as students in the MFA program at George Mason University. We took part in the same workshops, and in addition to becoming good friends, each of us become admirers of one another’s work—which at that point seemed to be the make-or-break about whether a person was really attractive or not. Tara: We later bonded over Twin Peaks and cherry pie, Golden Girls, and bourbon. The stars aligned. What brought each of you to George Mason University? Art: I’d been taking some fiction workshops at NC State University in the late 1990s and early 2000s while working in marketing and public relations for the North Carolina Museum of Art; my goal was to focus on my writing in a more structured way, not just dabbling in it, but devoting myself to it with some frequency, with deadlines, with feedback from peers, etc. After completing the program there, one of my professors suggested that I apply for an MFA—really immerse myself in my writing—and she specifically suggested Mason as a good program. Within a year, I was here. Tara: After college, I moved back home (Pennsylvania) and started working as a feature writer for a weekly newspaper that was inserted into one of the daily papers. However, I missed the writing community in college and being around other fiction writers, and I knew I wanted to go back for graduate school. Mason seemed like a great fit for me in a bunch of different ways—and I got accepted there—so that's how it happened. You each come from different parts of the country, Tara from Pennsylvania and Art from North Carolina. How have you blended traditions from your pasts to create your lives together? Art: We now eat our barbecue with a side of pierogies. It’s a better combination than you might think! Tara: He's totally sold on NEPA pizza! And I'm totally sold on mint juleps. How do you juggle two writing careers and a young son in one household? Tara: Juggle is the appropriate word here. Sometimes it feels like an intricate balancing act, and sometimes we drop many, many plates. (CRASH!) The key is carving the time out for each other and for ourselves—even if it's only 10 minutes (often it is). We know how important writing is to each of us, and so that's a massive priority for our family—not losing ourselves in the day-to-day maintenance of life and work and toddler. It's hard. REALLY hard. But we're working, we're surviving. We're very fortunate in so many ways, so it's all about keeping your chin up and keeping that perspective handy. Art: I used to think that I needed several hours of uninterrupted time to get any work done, but my perspective has changed on that—and on the idea of what progress means too. Even a day’s work is just making a few notes or writing a single sentence or two… well, that’s some sentences or some notes that I didn’t have before, right? And watching our son Dash has helped with that—watching him learn to walk or talk or do all the things he’s doing. Even the smallest accomplishment puts him one step closer (literally sometimes!) to his goals. Perseverance is the key. Art, how have your experiences (1) outside academia (working on The Spectator and as a reviewer); (2) teaching (as an Assistant Professor in Literature at George Mason University); and (3) developing conferences (like Fall for the Book) enhanced your writing abilities? Art: I have to admit that I’ve sometimes wondered if all those experiences may have inhibited rather than enhanced my writing—if only from the standpoint of time and energy and maintaining some sort of focus on crafting my own fiction—and as we were just talking about, adding fresh parenthood into the mix has brought a lot of delight into our lives, but it’s also layered in extra duties and distractions as well. But from a professional standpoint, I do believe that teaching and reviewing and helping out with Fall for the Book have all contributed both to broader and to sharper perspectives. Teaching and reviewing, for example, has kept me not just thinking critically about a wide range of mysteries but also articulating and defending my thoughts—which in turn can help clarify what I want to do and don’t want to do in my own fiction. And Fall for the Book has helped to immerse me in that big community of writers, exposed me to wide world of talent and ideas, and also given me the chance to give back to that community. It’s been said that being a writer is a lonely profession, so much time alone in front of the computer—but I think that a big part of being a writer these days is also being a good literary citizen, and that can happen in a number of ways: encouraging young writers, providing a forum for other writers to reach their audiences, celebrating great works whenever you find them. In each of these roles, I’ve had some great opportunities. Tara, in addition to your own writing, you served as Senior Manager, Media and Public Relations, George Mason University, which meant that you prepared press releases and informational articles about university activities. In fact, on the George Mason website, you’re included with other examples of people who have used their English degrees in unique ways. What advice would you give to people who want to pursue both creative writing and a day job with writing responsibilities? Tara: I worked at George Mason for 11 years, but late last year I took a new position with Good360, a national nonprofit, as their director of communications. I think the "creative" of the creative writer part of me enjoys working in media and communications because I can write a wide variety of things—this week, for example, I created an ad for a magazine, wrote some articles for an Annual Report, brainstormed on a new social media campaign and pitched reporters on a disaster relief platform—but I wouldn't necessarily recommend it to someone who wants to write fiction. I've often dreamed about taking a job as, say, a mail carrier, where writing and meetings are nonexistent, where I can use all my creativity towards my fiction and not divide it up amongst all different areas. Tara, how has being an editor influenced you own writing? Tara: I really like being the editor of SmokeLongQuarterly because I feel like I can keep on top of the trends of what is being written. I also really like the connections I make through my role there—I meet so many interesting people, great writers, other editors. 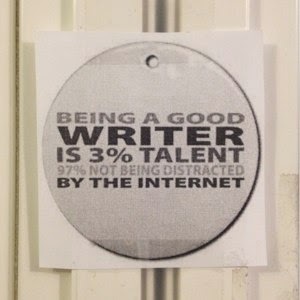 It makes me a better person, a better writer, though it definitely takes time and commitment! But feeling a part of that community, in whatever capacity, keeps me grounded, keeps me connected, and guilts me into producing my own work. Art, you are well-known and lauded for your short award-winning fiction. Is there a novel in your future? Why do you like to write short stories? Art: A lot of writing programs once focused on the idea of writing short stories as a kind of apprenticeship toward tackling a novel—learning character, scene, setting, plot, etc. in that microcosmic way and then applying those skills to a bigger canvas. But I think that short stories and novels are ultimately two completely different things—even before you begin to account of how different flash fiction is from the traditional short story. I’ve never had much success with the novels I’ve attempted—getting the right narrative arc and pacing the plots appropriately—and I used to worry about that, as if getting a novel published was the ultimate barometer of success. But lately, I’ve begun putting that worry aside. It’s not that I wouldn’t like to write a novel someday—I would—but I’ve also grown to appreciate more and more the short story in itself: the precision, the efficiency, a whole world condensed into a short space. I’m not sure my own stories always succeed on those counts, but I do admire so much the capacity of the short story to succeed on those very strict terms. It’s also nice these days to see more writers who write only short stories succeeding on a very big stage: Alice Munro and George Saunders come to mind immediately, of course, and their works are obviously great models of all that the short story can accomplish. Tara, I see on your website that you have two novels as works in progress. You also are an editor and contributor to SmokeLongQuarterly, which publishes flash fiction of 1000 words or less. What impact did winning SmokeLong’s 2009 Kathy Fish Fellowship and writer-in-residence have upon your writing? Why do you think flash fiction has gained so much interest? Tara: As I mentioned before, I love working at/with SmokeLongQuarterly. It is no exaggeration to say that winning the Fish Fellowship changed my career path dramatically. Before then, I was fumbling around, trying to find a voice, trying to get a publication or two. Winning the fellowship immediately put me in touch with a bunch of amazing writers and editors—Randall Brown, Dave Clapper, Beth Thomas—to whom I owe so much. And I LOVED writing flash. It was fun. Writing was suddenly fun again. Out of that fellowship bloomed so many amazing things. Not only did I produce a ton of writing that year, but I also found a lot of wonderful online journals and met a ton of people. 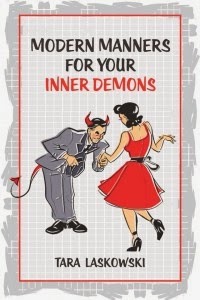 And later that led to my manuscript Modern Manners for Your Inner Demons, my first short story collection. Now, I say writing flash is fun for me, but it's certainly not easy. Some writers I know can get lost in their pure joy of writing hundreds of pages of a novel, exploring their characters, wandering down side alleys and relishing in long scenes. I like a quick shot in and out. I like to see my story on one page. I like to craft each word and image, sew each stitch. That's fun for me. It's not for everyone, though. Tara, you have an interesting Twitter handle. Would you explain its meaning? Tara: In college, I had a friend who called me "Bean." I wanted it to be my nickname, but it never stuck beyond that one friend. However, I combined the 'bean' with my major 'English' and started using beanglish for account names (like AOL, back when it was all dial-in and paying for minutes). It just stuck. I thought about changing my Twitter to my name instead, but I never have. Currently, I know that your son Dash has a great interest in cars. What do you see for his future? If he decided to be a writer, what advice would you give him? Tara: I don't really care what interests he picks up as long as he's passionate about them and happy. It would be great if he loves books and writing as much as we do, but if he's equally happy painting model cars or playing tennis or dancing or robotics or collecting baseball cards—more power to him. However, he must let us read the Harry Potter books to him. When he was like two weeks old, I told him one night that he has to promise me to let me read Harry Potter to him, and to pretend he likes them even if he doesn't (he will). He couldn't do much more than gurgle at that point, but it was an agreeable gurgle. So…in a few years…I can't wait! E.B. Davis always asks our guests if they prefer the beach or mountains. Where are your and Dash’s favorite vacation spots? Art: The mountains are great, but I enjoy hardly anything better than sipping a cocktail with a view of the water. Tara: I like exploring new territory—we took a trip to New Mexico years ago and it was awesome to see the desert and the canyons. Dash isn't picky. He's happy taking a short ride in a golf cart or running through a field. Art: Or, hopefully, spending the night in a refurbished caboose… which is the next trip we’ve got planned for him! Art and Tara, thanks for being with us at WWK. Best wishes to you and Dash in all your future endeavors, whether mobile or stationary! Art Taylor’s website is: http://www.arttaylorwriter.com. Tara Laskowski’s website is: http://taralaskowski.com. There's something magical about an antique book. It’s both delicate—perhaps with a torn linen cover and yellowing pages—and strong because it has survived to tell its tale. However, the musty smell is what makes me smile. It brings back happy memories of sitting in the library stacks at college paging though tomes of old books, or shopping in a secondhand book store. In 2009, a study was conducted on the smell of old books. A scientist decided to investigate after noticing a book expert sniffing a book to assess its age. "The aroma of an old book is familiar to every user of a traditional library," he wrote. "A combination of grassy notes with a tang of acids and a hint of vanilla over an underlying mustiness, this unmistakable smell is as much part of the book as its contents." The study found that as a book ages, the paper, ink and glue break down, releasing hundreds of volatile organic compounds into the air which creates the familiar old book scent. Of our five senses (sight, hearing, taste, touch and smell), the sense of smell is the most powerful. Researchers estimate that humans can distinguish one trillion different odors. (Probably not true for allergy sufferers.) 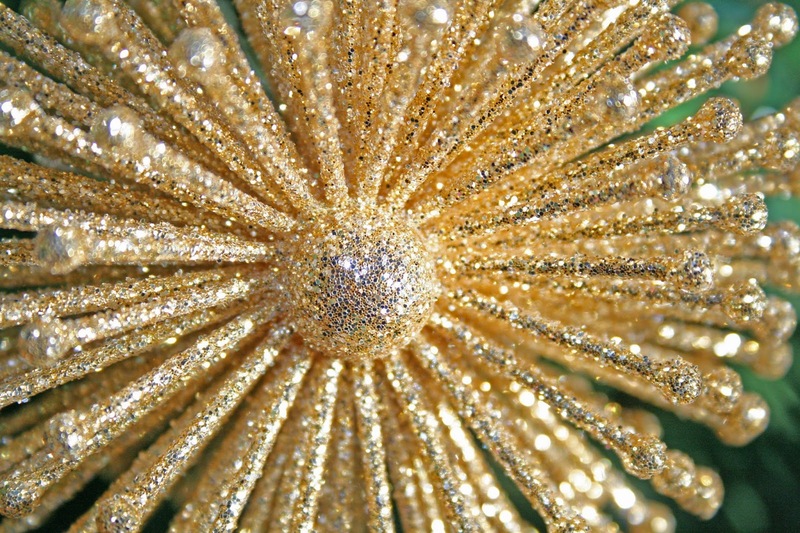 Also, smell more than any other sense is linked to parts of the brain that process emotion, including mood and memory. I once took part in a focus group about butter. The advertising firm studied this group to help decide which print and television campaigns to use in order to effectively market a particular brand of butter. The market researchers first asked our group if we liked butter and if the smell reminded us of childhood. A participant said it reminded her of her mother. Then they asked if she liked her mother. The answer was, “yes.” I believe the resulting television commercial was of a mother bringing butter to her children at the breakfast table. So, if smell is our strongest sense, should we write descriptions of how things smell more frequently than, for instance, how something looks or tastes? I don’t know the answer, but I will add more descriptions of aromas in the future. In addition to that old book smell, I love how the desert smells of creosote after a hard rain. It reminds me of my childhood spent in the sunny Southwest.